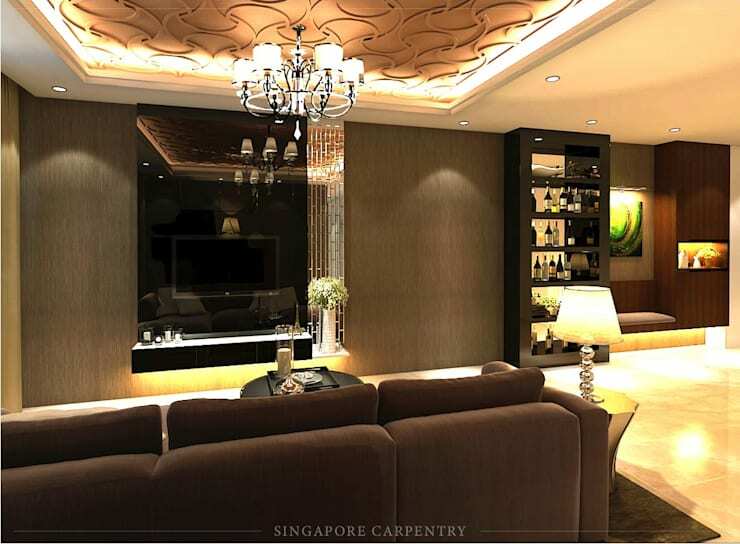 Cosy HDB home turned into a luxury suite. You couldn't imagine this home is an HDB apartment, could you? Our designer raised the bar to a whole new level with this project. 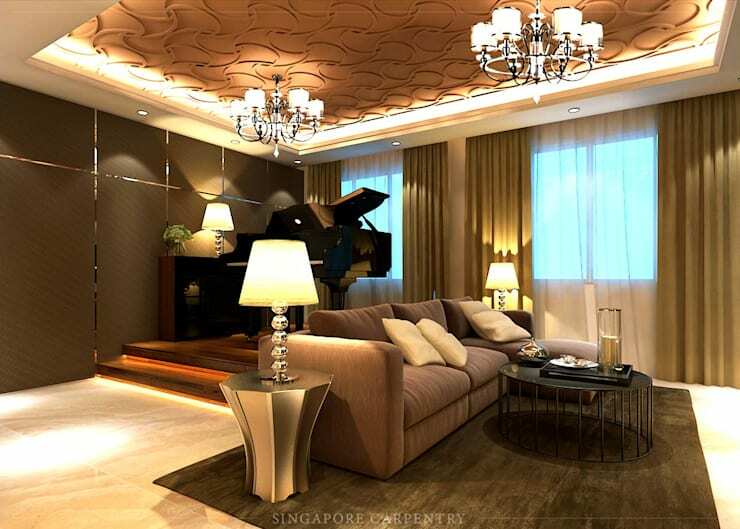 Chandeliers, beautiful feature wall and ceiling, and an exclusive corner for the grand piano, what more is needed to scream luxury? Every single detail counts, from the selection of downlights for perfect ambience to the choice of curtains and carpets. We are also obsessed with decorative panels for the way they instantly add character to a room and exude class. Lastly, we give our hats off to the team of carpenters with excellent workmanship, who did the display cabinets for this home.